Cool ambient living and working space has become a necessity in tropical countries like Malaysia. 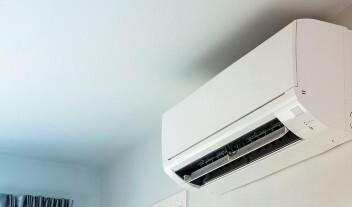 If central air conditioning system is an option too expensive to invest, room air conditioners such as inverter units can be an energy-efficient alternative. Why Should You Hire a Air-Conditioning Specialist? While choosing the right type of air conditional system for the household helps to reduce the energy consumption, regular cleaning and washing of the essential components ensure optimal performance. Our air conditioning service providers in Malaysia provides services like general servicing, chemical washing, overhaul repair and installation. We have all air conditioning systems like split system aircon, inverter air conditioner, cassette ceiling air conditioner, casement window air conditioner, ceiling suspended, air cool chiller system and so on. Our service providers in Malaysia strive to delivery excellent service to every end users. All of them are well raved by many satisfied homeowners in town and have a very good service track records. The service quality is very important as it will greatly affect the performance as well as the life span of the air conditioners. In RenoEasi.com, our experienced air conditioning service specialists are ready to give you peace of mind at a competitive price. Visit Renoeasi.com and call them up for a quick quote today!